If you can’t take a joke, you really shouldn’t have joined. Some critics are up in arms that the 1979 ‘classic’ piece Amadeus has been deconstructed and, they say, dumbed down in the National Theatre’s new staging by Michael Longhurst. 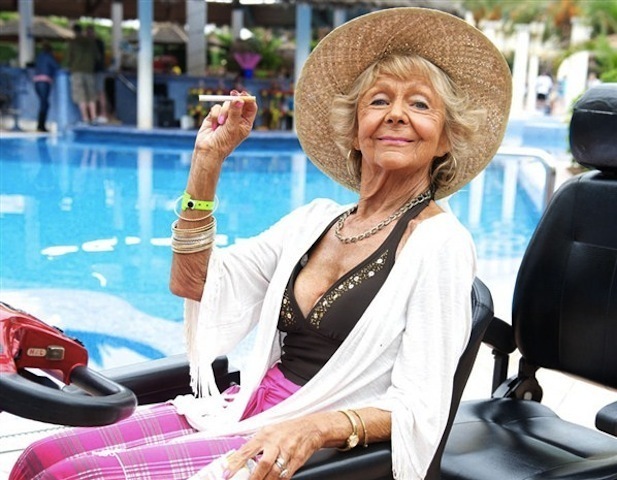 I say it’s the ‘Benidorm’ Amadeus with a rip-roaring and rude performance as Mozart by Adam Gillen – hapless dogsbody Liam from the Solana hotel in the ITV comedy – whose rowdy antics and prolific compositions are royally disapproved of by his sternest critic at court played by Benidorm regular Hugh Sachs. It’s like Adam Gillen doing Liam doing Mozart on karaoke night in Neptune’s and could only have been improved by the arrival of Madge on her scooter as the Empress of Austria. It’s also as if following her controversial exit from Shakespeare’s Globe and with a reputation for upcycling dusty old texts in supersaturated colours – Emma Rice had already made the jump to the NT. With explosive scene-setting, scattering actors and orchestra across the vast stage of the Olivier, costuming Gillen in a succession of bright silk upholsteries and pink Doc Martens, wielding instruments almost as weapons, it has all her energy and disregard for precedent. If you yearn for all that moody chasing through the misty streets of Prague (masquerading as Vienna) pursued by a hundred violins in the Miloš Forman movie, you might be disappointed by this version which is less reverential of the language and style of Peter Shaeffer’s play, and which fails to foreground its themes of psychology, philospophy, aesthetics and the divine inspiration of creative genius. 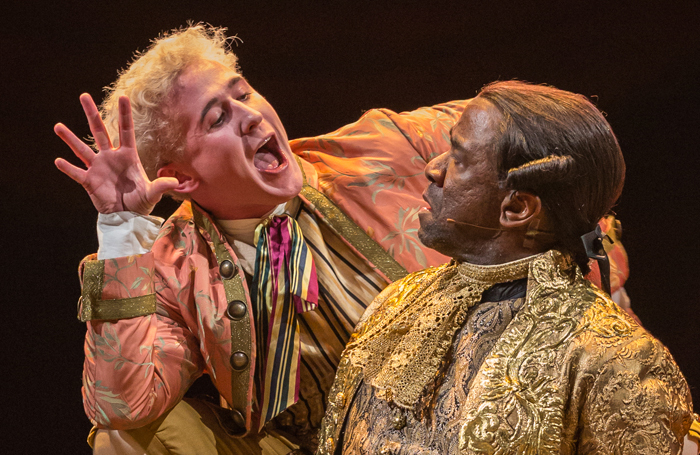 You might also think that the pantomime turn of Gillen as Mozart throws shade at Lucian Msamati, an excellent actor who has a harder time connecting Salieri to the audience in a clever slow-burning performance, gaining sympathy for his quest to destroy Mozart only when Gillen’s performance of priapic self-indulgent adolescence reaches Bieberish proportions. But when the Southbank Sinfonia plays eagerly from Die Entfürung Aus Dem Serail, or The Marriage of Figaro and the production really takes off, you might also have a good time. At the very least, you’ll want one of the outfits.